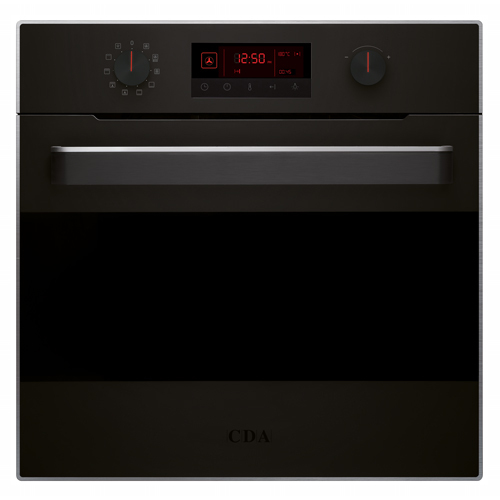 The Designer range ovens are minimalist in style yet they maximise on performance. 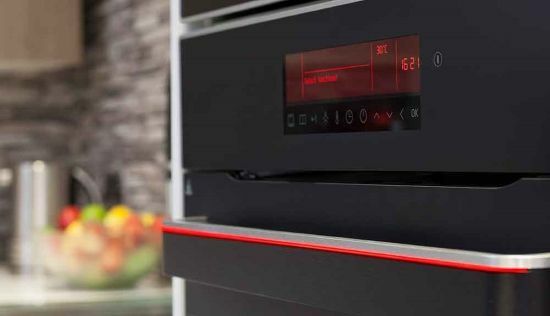 Discover the unique features of each model in the range from Pyrolytic to Aqualytic cleaning functions and heat indicator lighting to touch control, automatic cooking functions that produce perfect cooking results every time. The SK900 is an all-in-one self-cleaning, automatic cooking single oven that is packed with extra features to bring out your best cooking results time after time. This technology-loaded single oven comes with a rapid preheating function that allows you to start cooking in as little as 4 minutes from switching on your oven. The internal temperature of the oven cavity is displayed on the control panel to let you monitor the speedy progress of your oven preheating. The external aesthetics are finished with a matt black and gloss touch control panel, while the inside has luxury soft lighting and a soft-close door action. There is also a residual heat indicator light that glows red along the handle to alert you to when the oven is still hot. The telescopic shelf runners in the SK900 slide out 100% of the way to give you complete and unhindered access to heavy, hot or full casseroles, baking dishes or for pouring liquids into quiche or flan dishes. We have also included a honeycombed baking tray to use for non-stick cooking in your new oven. To achieve perfect cooking results there is a minute minder to time cooking, semi and fully automatic cooking to coordinate start and finish cooking times with a busy lifestyle and a space-saving tray at the base of the oven to maximise cooking space for special occasions and large dishes like tagines or joints of meat. There is also a range of preset cooking programmes that include the perfect settings for pastries, frozen food, different types and cuts of meat and settings to use in coordination with the temperature probe to cook meats to your preference from rare to well done. Now you can choose the time that you are planning to sit down to eat as part of your cooking pre-sets with our fully automatic cooking settings. Work back from serving time to ensure that your dishes are cooked to perfection and that all the hard work is done for you, just in time for you to walk through the door. There is a fully pyrolytic cleaning function on this oven to incinerate dirt and grease from the inside and eliminate the need for harsh chemical cleaners or time-consuming scrubbing. 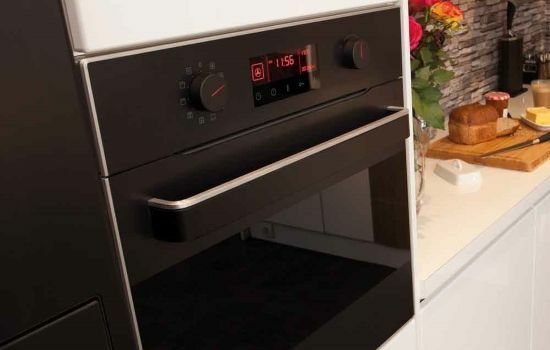 The SK800 single oven offers many innovative features including a temperature probe, soft-close door action and a residual heat indicator light along the handle that glows red when the oven is still hot. This model is completely multi-functional to provide every cooking style that you will need at home, allowing you to select and combine heating functions to produce perfect cooking and baking results every time. 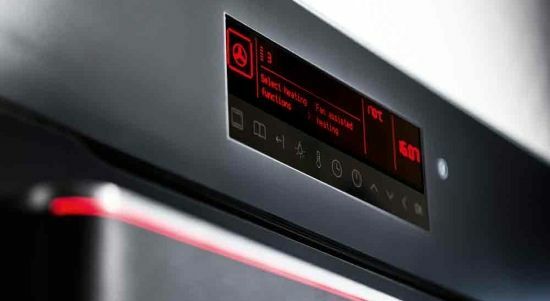 As the oven preheats, the internal cavity temperature is displayed on the control panel to give an indication of how far you are off your cooking start time. What’s more, a temperature probe inside the oven will ensure that dishes are cooked to perfection throughout and that a safe internal temperature is reached for dishes like poultry. We’ve included user-friendly elements in the design to make every day cooking easier and safer. The telescopic shelves slide out 75% of the way to let you safely place heavy, full or hot dishes of food in and out of the oven. Although not fully pyrolytic, this model includes its own Aqualytic cleaning function to eliminate scrubbing and the use of harsh, chemical oven cleaners. Not only is cleaning your oven a time-consuming chore, using chemical cleaners is not kind to your health or to the environment. Cleaning with water is an effective, ecologically sound alternative that we have harnessed in the SK800’s Aqualytic cleaning function. 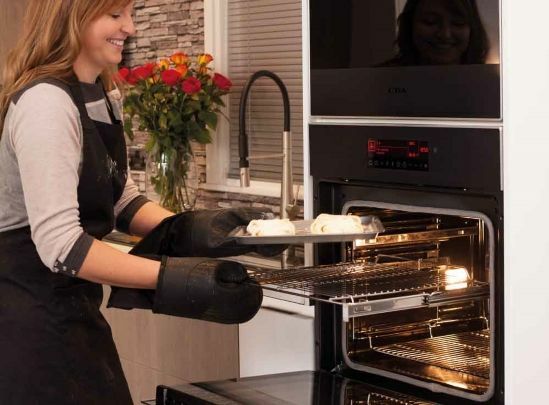 The function works by heating up the internal cavity of the oven and using water in the specially designed, tilted oven base to loosen grease and dirt from the interior enamel. All you need to do is pour in a small amount of water before you select the cleaning programme and simply wipe the loosened dirt away with a damp cloth after the cycle has finished. To aid the cleaning of this oven during the Aqualytic cycle, the interior is coated with a grey enamel that is unique to this model. This works alongside the cleaning function to keep your oven clean and maintenance to a minimum. There are 11 cooking functions on the SK700 to provide complete dexterity for you cooking ambitions, as well as an Eco-clean function to cut down on cleaning time in your kitchen. The Eco-clean function works by using a baking tray full of water and heating the internal cavity to loosen dirt and grease from the inside of your oven, allowing it to be simply wiped away. This model is also supplied with catalytic liners that fit the internal walls of the oven cavity and absorb grease and dirt during cooking. Finished in the same style as the rest of our Designer Kitchen Range, the SK700 features rotary control knobs for those who prefer it to touch control. There are also telescopic shelf runners to allow easy use of the oven and the safe lifting in or out of heavily, full or hot dishes to and from the oven. 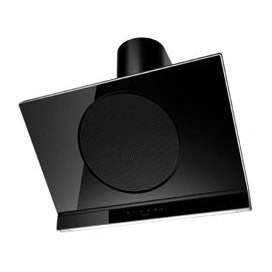 The full touch control panel is easy to keep clean and simple to use. The oven function, temperature, cooking time and progress of your meal are displayed in one place for an at-a-glance view that puts you in total control of your cooking. 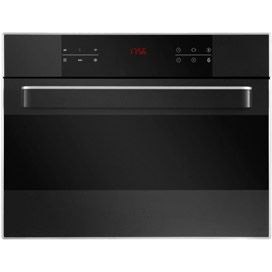 Simply scroll through the options for straightforward settings and view the range of pre-set cooking setups to get the best from your ingredients every time.The liners are supplied with the cooker and easily fitted to the internal walls of the oven cavity. Once they have absorbed all the cooking grease and residue that they are able to, they are easily exchanged for a fresh set to keep your oven looking brand new. The subtle elements of the design lend themselves perfectly to the aesthetics throughout the rest of the Designer Kitchen Range. Soft, matt black is highlighted with red, illuminated precision indicators that are used to select the oven temperature and function with just a twist. The Eco mode, included on all three single ovens in this range, allows you to save energy and cut electricity bills by using the residual heat to finish cooking dishes in the oven. It works by either the temperature probe alerting the oven to switch off the elements when the internal temperature of the food is a degree or two off temperature or by switching off the heating elements in the oven a few minutes before the cooking time is up. There is enough residual heat in the oven cavity to finish cooking dishes with no detrimental impact on baking results, the safe internal cooked temperature of meat or to browning the tops of meals to perfection. Compact appliances are the perfect way to add extra function into your kitchen, combining cooking functions into a condensed space for your convenience. Your hob is more than a place to boil pans and prepare meals. 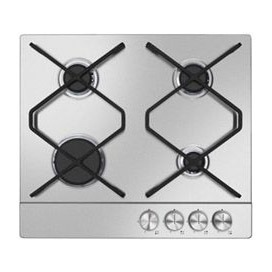 Browse our range of gas and induction designer hobs that will make a statement in your home. 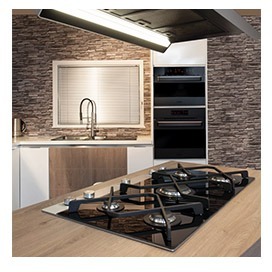 Clean and clear away smells, grease and steam from your kitchen with a powerful and beautiful black glass extractor from our designer kitchen range.